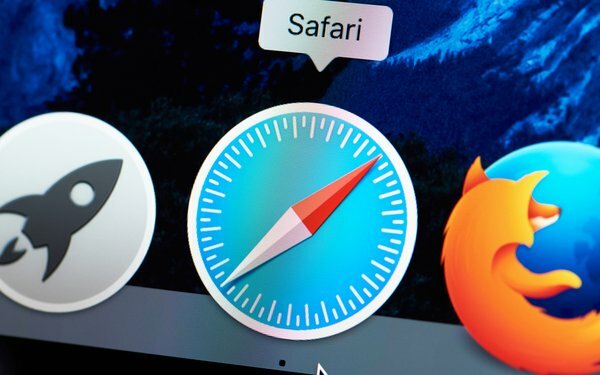 The upcoming version of Apple's Safari browser, slated to be released in September, will "erode advertisers’ ability to reach their customers with relevant advertising," a coalition of ad industry groups says in a new open letter. Apple said last month at the Worldwide Developers Conference that the newest version of Safari will include additional default settings aimed at protecting consumers' privacy. Among other new settings, the browser will alert users via pop-up notifications when Facebook (and other companies) attempt to collect tracking data. Apple also plans to make it harder for companies to use digital fingerprinting techniques to track people. Companies that use digital fingerprinting techniques attempt to recognize users based on data about their devices such as browser versions, installed fonts, plug-ins and other characteristics. Apple will hinder that effort by limiting the amount of data it sends to websites about users' devices. The American Association of Advertising Agencies, American Advertising Federation, Association of National Advertisers, Interactive Advertising Bureau and Network Advertising Initiative say the new settings will harm online advertising as well as anti-fraud efforts. "The changes announced by Apple will block tools used to support many online functions, including content personalization and advertising by forcing users to click through new popups to allow those tools to share their information," the ad organizations write. "In doing so, Apple is adding to the pop-up blizzard ... while depriving those websites of advertising revenue associated with those user visits." The groups add that Apple's efforts to defeat digital fingerprinting "will not only hurt advertisers’ ability to reach the right consumers, but also limit the effectiveness of security systems and anti-fraud tools that use such identifiers." Privacy advocates and other watchdogs have raised concerns about digital fingerprinting in the past. The standards group World Wide Web Consortium, directed by Web guru Tim Berners-Lee, warned several years ago that digital fingerprinting -- along with other forms of tracking that are hard for users to control -- was "a blatant violation of the human right to privacy." Apple's upcoming changes come on top of revisions that took effect last year, when Apple began deleting some cookies set directly by publishers after 30 days. The Safari browser has long blocked cookies set by ad networks and other third parties by default. But the settings instituted last year appeared aimed at preventing tracking by companies that use first-party cookies to get around Apple's block on cookies set by third parties. 1 comment about "Ad Industry Blasts Apple's New Privacy Settings". Steven Francolla from AirDXP, July 26, 2018 at 11:41 a.m. I'm an expert in targeting reinstatement for Safari 11 & 12. My company, AirDXP, provides a real Safari strategy to web publishers, advertisers, and ad platforms. - In the acute context of web browsers, Apple is stamping out user tracking which, as we all know, facilitates retargeting, the thing that consumers are quick to conclude is intrusive. - Over in the mobile apps world, however, Apple has supported and embraced user tracking with their IDFA. Since the success of Apple devices partly relies on the mobile app economy, it makes sense that this hipocrisy has come about. Let's put Apple on the defensive by reporting on that larger issue.